Tired of chasing rents? Need to sell but can’t? Whether you own one property or multiple properties and need help with Chasing Rents, Maintenance Problems, Eviction Issues, & overall Rental Headaches. We can help! Reed & Associates of TN, LLC is a full service real estate company that specializes in residential property management. We have 30+ years real estate experience that offers a professional & effective full-time team that will work for you. We encourage you to look around our site and read about the ways in which we can maximize your returns, minimize your risks, and eliminate the hassle associated with “landlording”. We offer a non-qualifying lease purchase program and a traditional rental program that is sure to get your property LEASED! Fill out the management quote form to the right and we will contact you regarding your PM needs. Thank you for the opportunity to help you with your property. We are a fully staffed property management company that utilizes quality control procedures and proven business practices in the management of your home. Our property managers collect rent, deal with resident issues, and provides an “arms length” relationship between owner and resident. Residents are informed of their responsibilities regarding your property and their contracts. Below is an overview of what all is included but not limited to when managing your property. Whether you have 2-5 properties or 100+, we would like to discuss with you how we can help Improve Collections, Retain Quality Tenants and Maximize ROI. We are experienced working with individual investors with multiple properties and with managing for institutional investors and national firms. If you have a house that won't sell, or you don't want to sell, we can help! We can help solve a short term problem, or we can help convert your home to an income producting investment property. We work with investors to diversify their investments to include income producing properties. We assist with Acquisition, Renovation and Management for our investors. ASK ABOUT HOW YOU CAN BUY INCOME PROPERTIES IN YOUR IRA! Millington is a city in Shelby County, Tennessee, United States. As of the 2010 census, it had a population of 10,176. Millington is the home of the Memphis International Raceway. 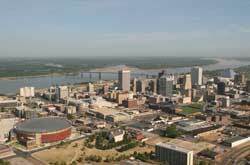 It was granted the title "Flag City Tennessee" by the Tennessee State Legislature. The Naval Support Activity Mid-South is located at the former Memphis Naval Air Station, which was changed functions from a training base to an administrative one in 1993. There is also a general aviation airport that features the third longest runway in Tennessee. We are currently offering our Property Management Services in the above areas. If you have Property Management needs outside of these areas, please call to discuss how we may be able to help.